New. Trade paperback (US). Glued binding. 375 p. Contains: Illustrations. Automotive Repair Manual. New. 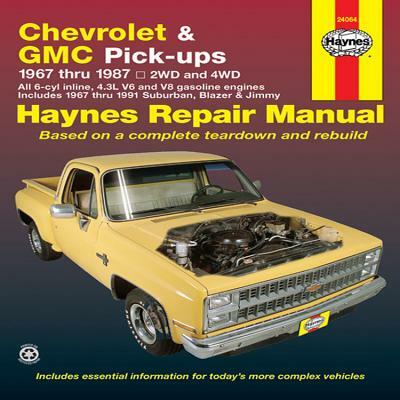 Series: USA service & repair manuals. Num Pages: 392 pages, illustrations & photographs. BIC Classification: TRCS; WGCV. Category: (G) General (US: Trade); (XV) Technical / Manuals. Dimension: 271 x 210 x 19. Weight in Grams: 548. 1988. 4th Revised edition. Paperback.....We ship daily from our Bookshop. Acceptable. WEAR ON CORNER AND EDGES, STAIN ON OUTER PAGES *Acceptable condition: -Used books can include heavy writing, highlighting, underlining, marking, or notes. Exterior may have moderate to heavy signs of wear from use or shelving (worn corners, creases, scratches, etc). Cover may be different than listing and may have sticker / sticker residue. May have binding wear / seperation. May have Water Stains and / or Damage. All pages appear to be readable. Some pages may have folded / creased corner(s). ISBN number may not match-it may match original at bottom of barcode. May have stains on inner pages and / or outer edge of pages. * Paperback Used-Acceptable. Good. B000IORNA8 **Wear to corners and edges** Your purchase benefits those with developmental disabilities to live a better quality of life.